Maybe it’s because of an increase in wet and windy weather, or maybe it’s simply the new fashion accessory, but four wheel drive is more popular now than ever before. 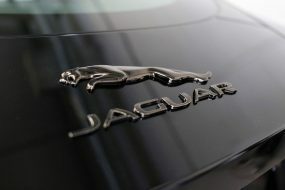 As a result many car manufacturers are offering four wheel drive options in most classes of vehicles. BMW has launched the all new F30 335d xDrive and with a three litre engine producing 313 bhp and 465 lb-ft of torque it’s safe to say this all-wheel drive tourer is very quick off the mark! 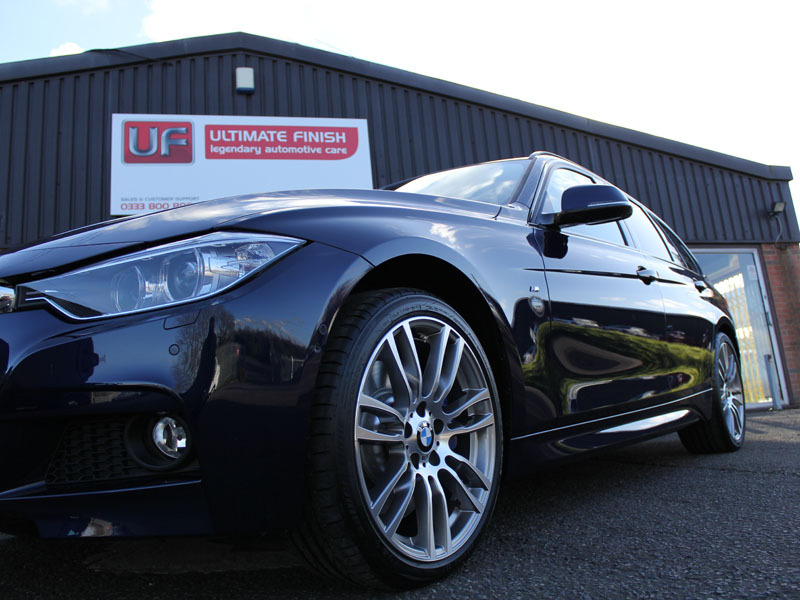 It’s common for owners of new vehicles to want to protect their paintwork with a New Car Protection Treatment however, this particular 335d xDrive was brought in to the Ultimate Detailing Studio by the dealership. Having taken delivery of the car it had been parked under a tree. 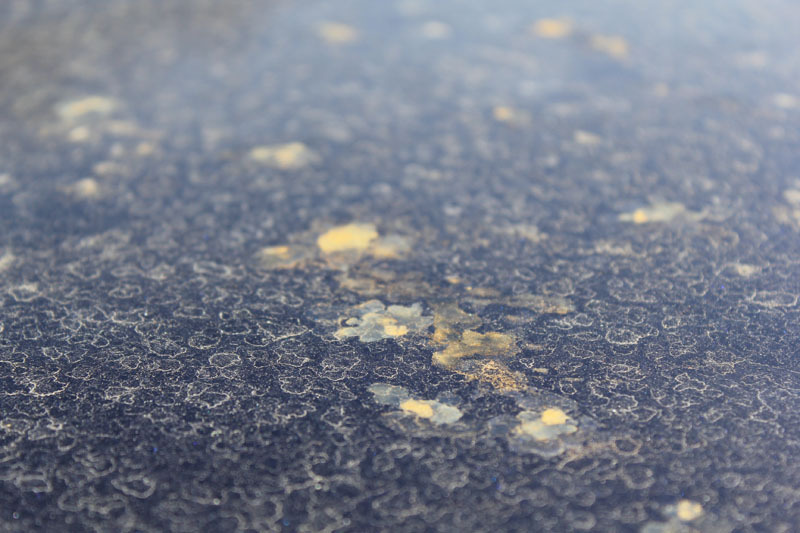 The sap and the pollen combined with dust from nearby building works had conspired to make a devastating mess of the bonnet. To start with the whole vehicle was treated with Bilt-Hamber Korrosol to remove the bonded inorganic contamination before being degreased with Bilt-Hamber Surfex HD. 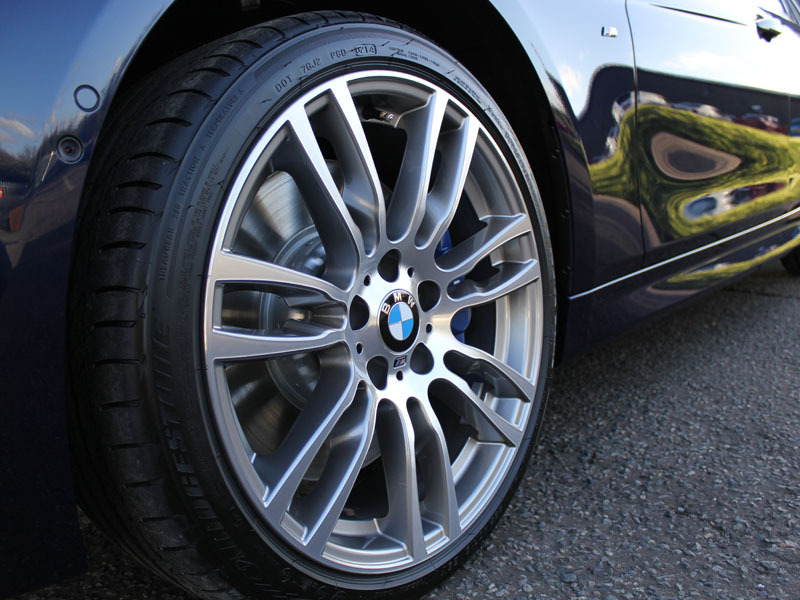 The wheels had not been affected by the pollen and with an application of Valet PRO Bilberry using Wheel Woolies to get between the gaps and remove the dust picked up in transit, the wheels looked sparkling clean once more. 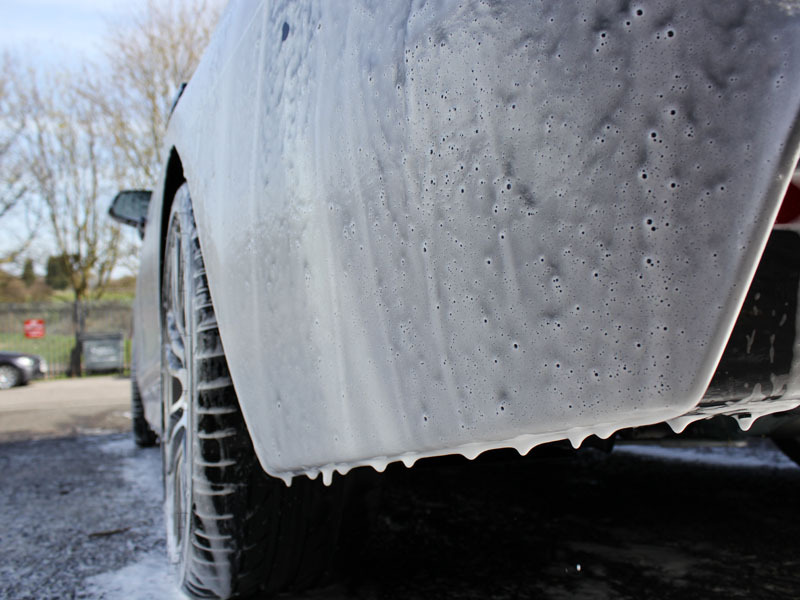 The bodywork was pressure washed initially to remove some of the loose contamination and was then pre-cleaned using Ultimate Snow Foam. 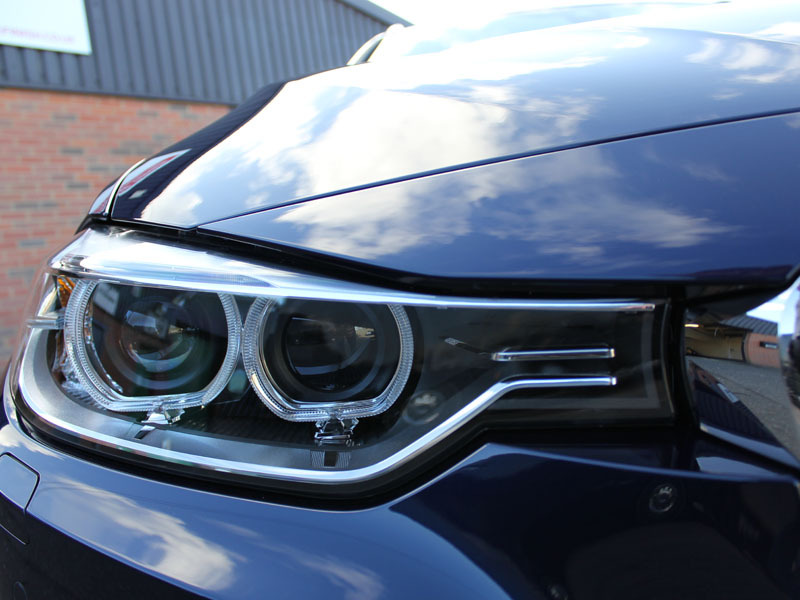 The car was washed using the Two Bucket Method and Nanolex Reactivating Shampoo, rinsed using an Aqua Gleam De-Ionising Water Filter and then carefully patted dry using a Gtechniq Zero Scratch Microfibre Drying Towel. 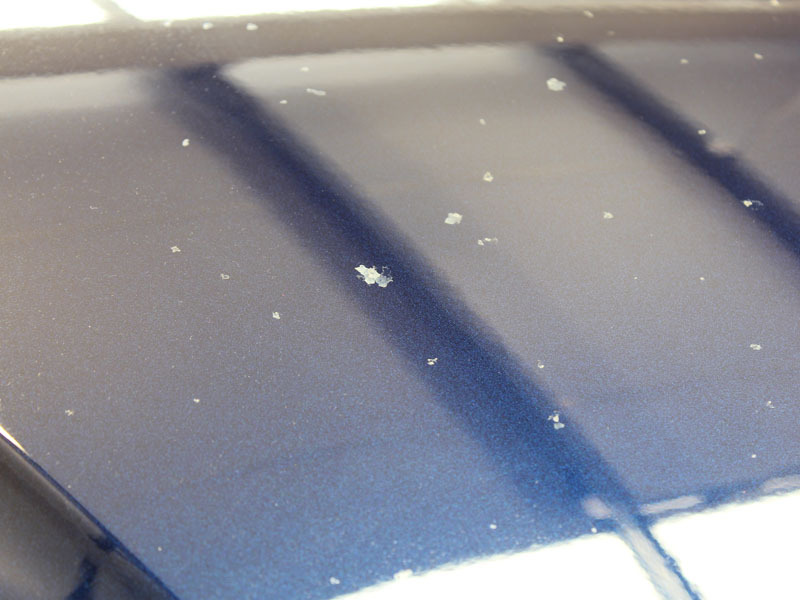 The marks from the tree pollen remained on the bonnet and would require further attention before machine polishing could start. Bilt-Hamber Auto-Clay Original was used to remove as much of the remaining pollen and sap as possible in order to leave the surface smooth and ready for machine polishing. 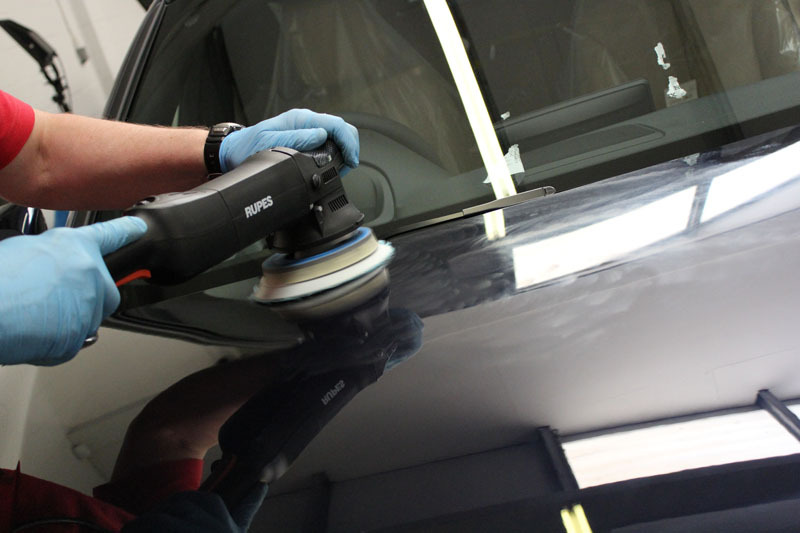 Selecting the RUPES Zephir Gel Compound and the RUPES Blue Coarse Cutting Microfibre Polishing Pad to use with the RUPES LHR 15ES BigFoot polisher, our Detailer painstakingly removed the etch damage from the paintwork. 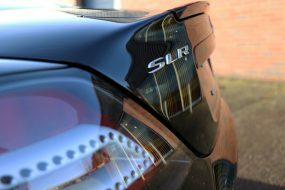 Then, using a RUPES Yellow Finishing Microfibre Pad and RUPES Keramik Gloss No 3, the paintwork was refined to a high gloss. 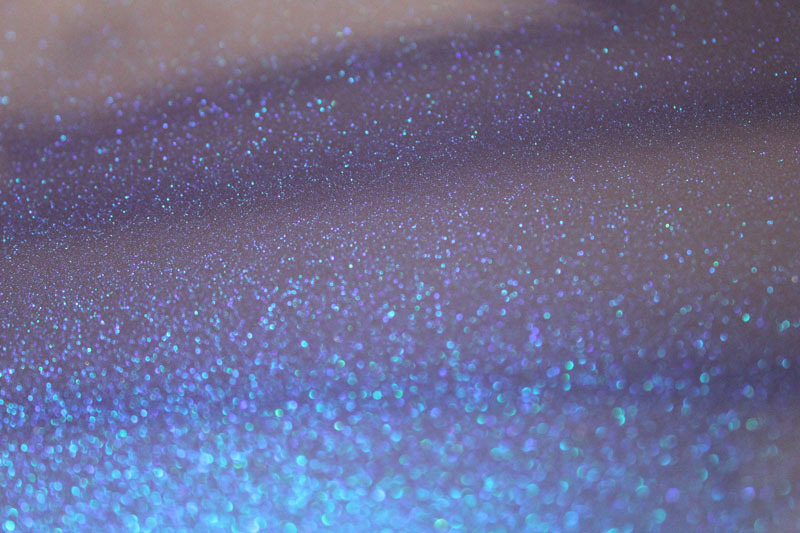 With the machine polishing process completed, the penultimate stage was to thoroughly prepare the paint ready to accept the sealant. 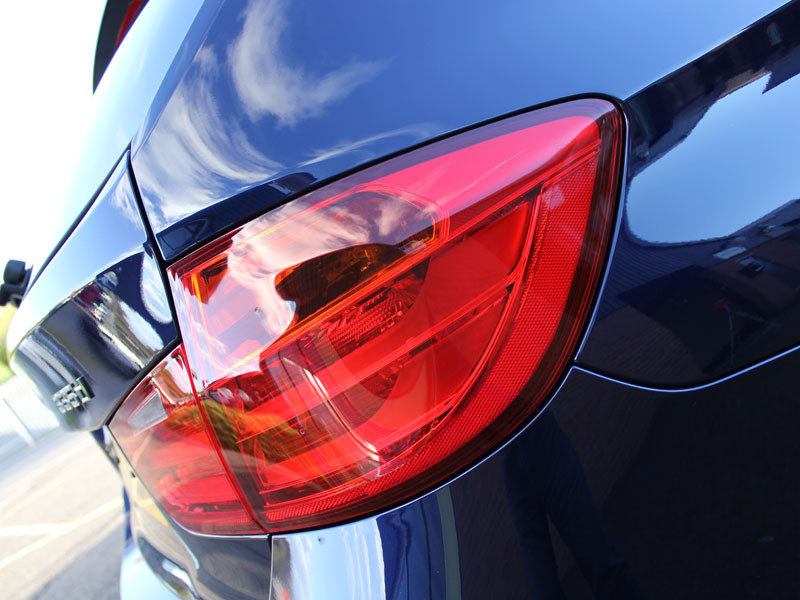 To do this Nanolex Premium Paint Cleaner was liberally applied to the paintwork, removing any polish residues which might inhibit bonds forming between the clearcoat and the paint sealant. 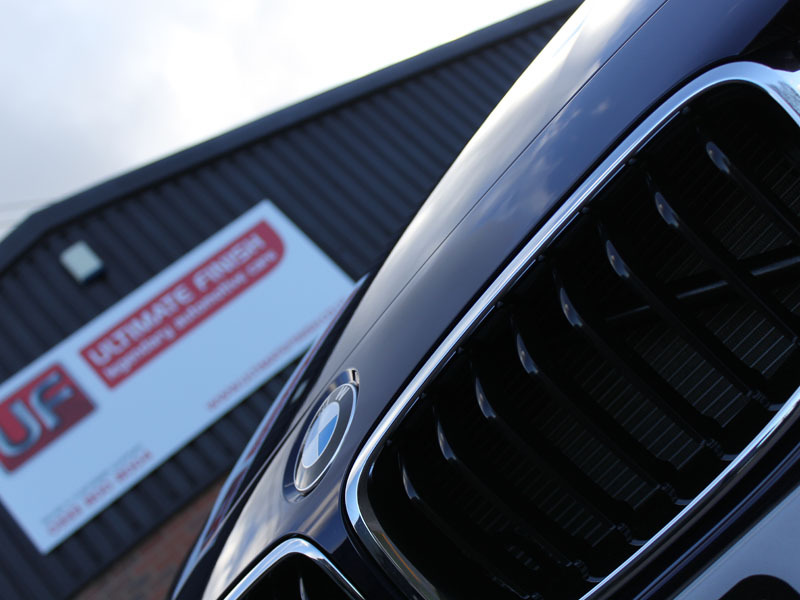 The final step was to protect the paintwork using Nanolex PROFESSIONAL Paint & Alloy Sealant. 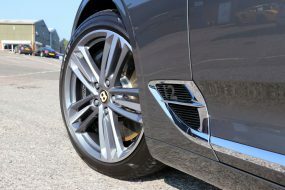 Nanolex Paint & Alloy Sealant was also applied to the wheels, forming a tough, anti-stick barrier which repels dirt and brake dust – this will make cleaning them much easier for the new owner. 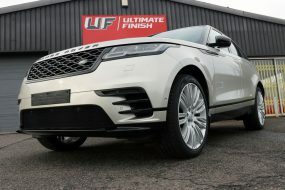 The exterior trim was protected using Nanolex Trim Rejuvenator, a tough coating which forms a chemical bond with the plastic making it extremely durable and so offering long term protection from UV fading. 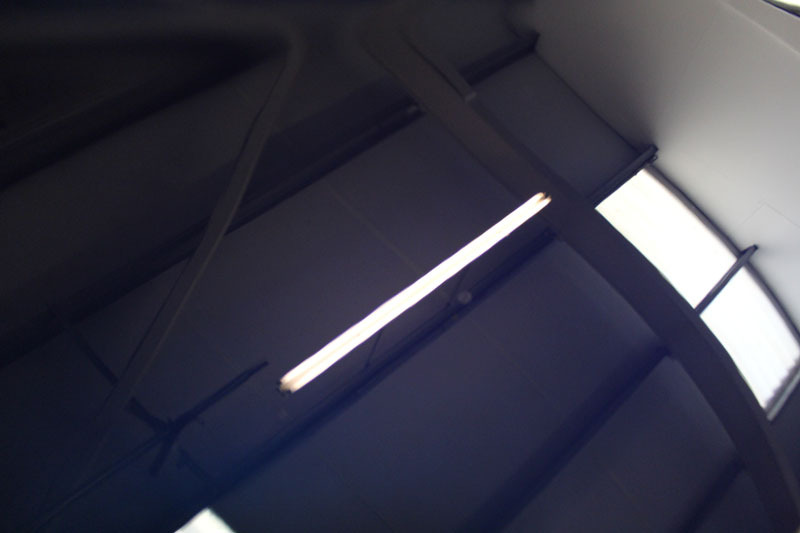 With the exterior now perfected and protected it was time to turn attention to the interior. 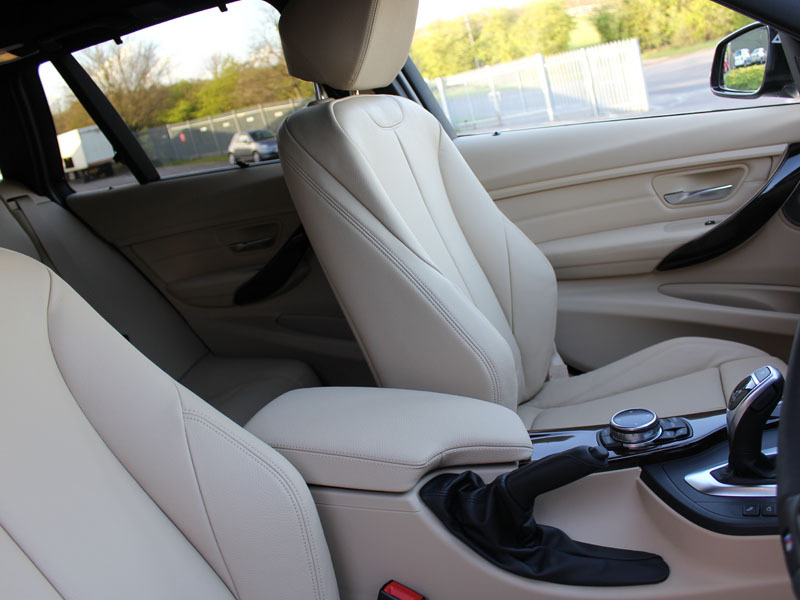 The stunning cream leather received a coating of Nanolex PREMIUM Textile & Leather Sealant, a flexible coating which helps prevent staining through dye transfer from jeans and dark clothing, as well as liquid and food spills. The glass was all cleaned using Nanolex Glass Cleaner and then sealed using Nanolex ULTRA Glass Sealant, a repellent coating which actively repels water and dirt. 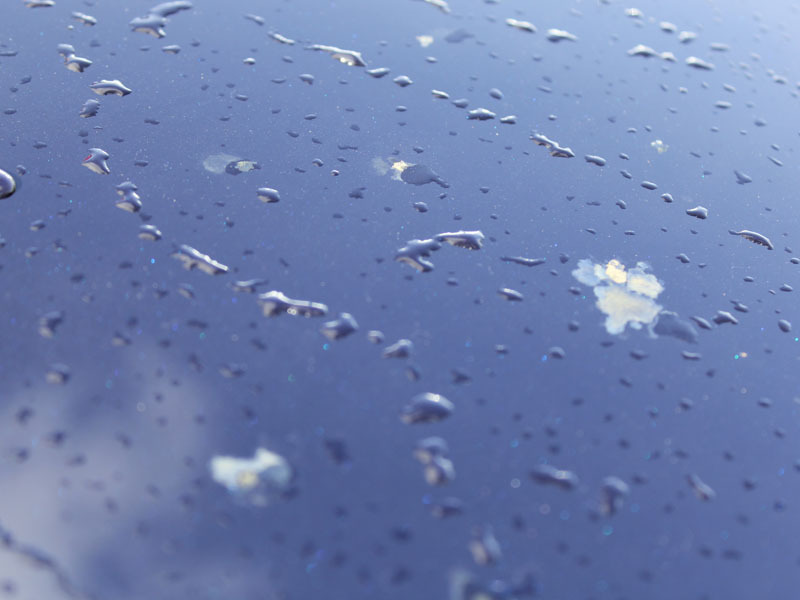 Once cured this sealant encourages rain water to bead and blow away, making driving safer and less tiring during rainy conditions. 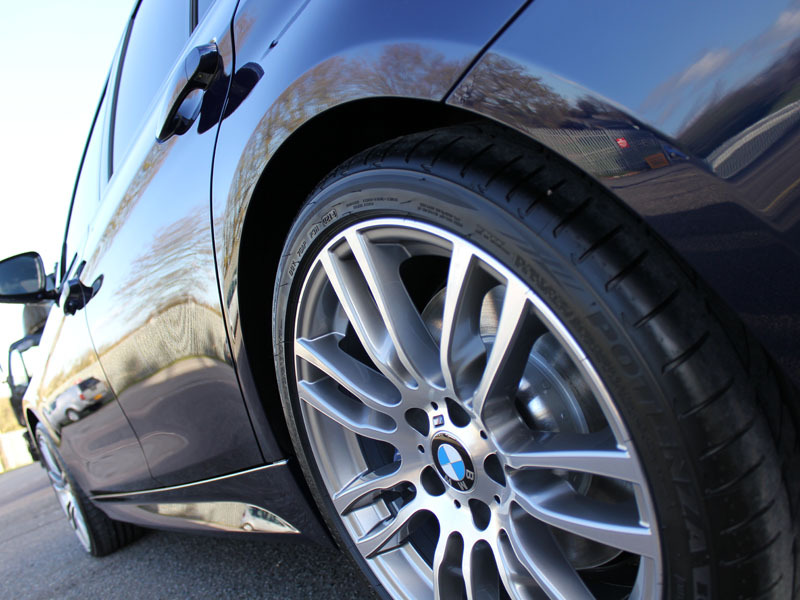 The final step was to dress the tyres using Swissvax Pneu, leaving a natural satin sheen and finishing the look of the now sparkling BMW. 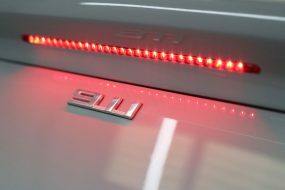 When the dealership collected the BMW they were extremely pleased with the standard to which the car had been prepared. Safe to say both the dealership, and Ultimate Detailing Studio had very happy customers!